In the bi-centenary year of the untimely death of Tipu Sultan, ruler of Mysore while fighting against the English in his capital Srirangapatnam on the 4th of May 1799, the Asiatic society of Kolkata organized a seminar to commemorate the event. Eleven scholars from different parts to India and abroad were invited to participate and present their contributions. An exhibition of books and manuscripts some belonging to the library or Tipu Sultan at Srirangapatnam was held at the Society to mark the occasion. 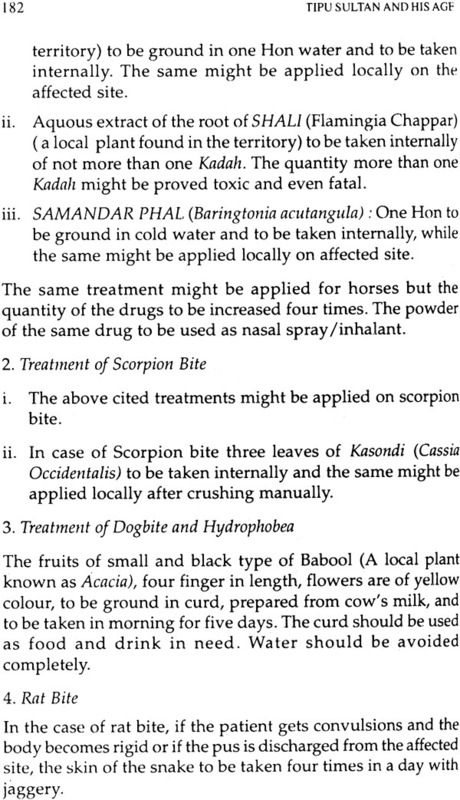 We are grateful to Prof. Aniruddha Ray to agree to do the editorial Work. We are also thankful to other members of the Asiatic society for their ungrudging help in making the seminar a success. We are beholden to the contributors who not only attended the seminar on our invitation but also sent their contributions within the stipulated period. 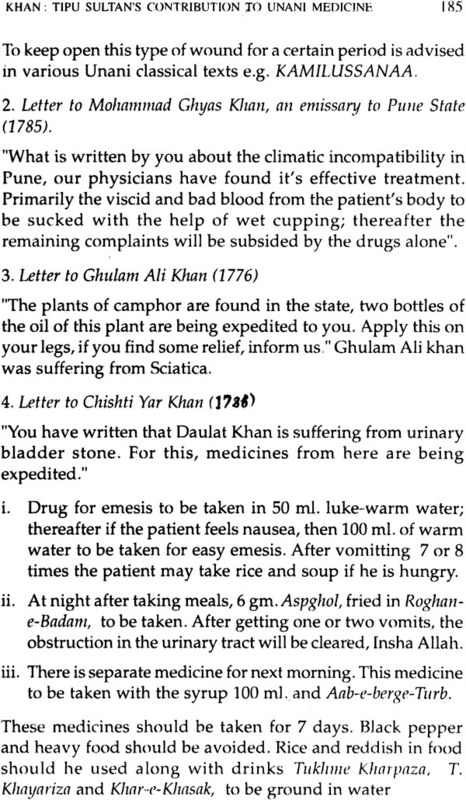 We are grateful to Prof. D. Sheik the senior most scholar on Tipu Sultan for not only sending his paper but also agreeing to write a brief Introduction as well. We hope that such seminar will stimulate other research works on the neglected period of our history. This publication of the papers contributed by the scholars at seminar organized by the Asiatic Society in 1999 to commemorate the fall of Srirangapatnam, where Tipu Sultan died fighting against the English forces on 4th May 1799 is presented here. We are most grateful to the contributors for sending their contributions within the limited period of time given to them. These papers are bunched in three Sections on the basis of their contents and sources used, although there are some overlappings. The references given by them are generally standardized and placed as endnotes after each paper. Spelling of names and place are generally kept as used by the contributor, In the Index, Muslim name are listed by their first names. Needless to say that a vast area of the activities of Tipu has still remained unexplored. It is hoped that further research will follow to illuminate the dark areas of our history and to clear the wrong impression created by the colonial regime. We are thankful to the printer for printing this work within a short period. 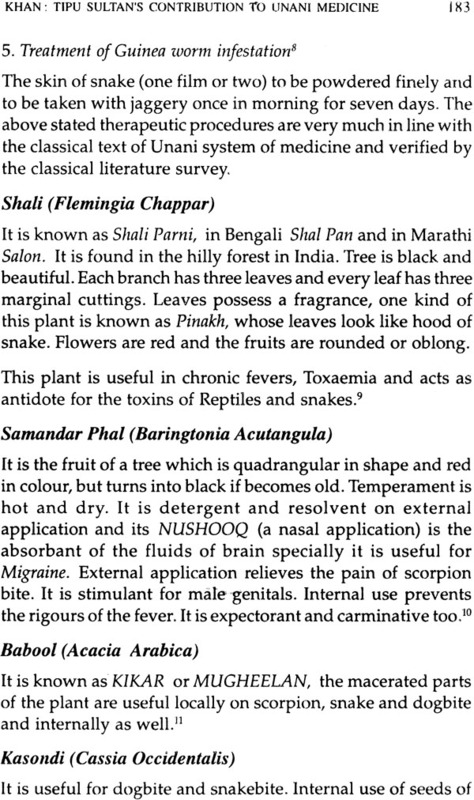 We are also grateful to the members of the Asiatic Society, including Dr. Abdus Subhan, as well as the staff of the Asiatic Society particularly of the Publication Section for seeing this publication through. We are beholden to Janab Mohammad Moienuddin for supplying us the pictures of Tipu Sultan at short notice. 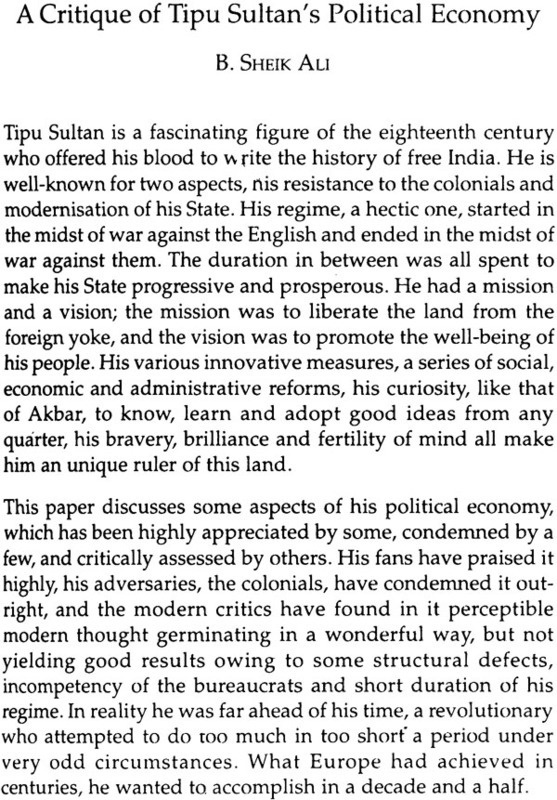 Tipu Sultan is a fascinating figure of the 18th century who offered his blood to write the history of free India. He had two passions in life, to liberate the land from the foreign yoke and to modernise his State to make it progressive and prosperous, which formed his mission and vision. His brief regime of seventeen years was a hectic one which started in the midst of war against the English and ended in the midst of war against them. The British were never confronted with a more formidable foe who never compromised his ideal and never deviated from his goal. He was the only Prince of the 18th century who realised the danger to Indian independence. Resistance to British expansion in India is the most significant aspect of his life. The second most remarkable aspect was his reforming zeal which touched almost every department of life including coinage and calendar, weights and measures, banking and finance, revenue and judiciary, army and navy, social customs and cultural affairs. 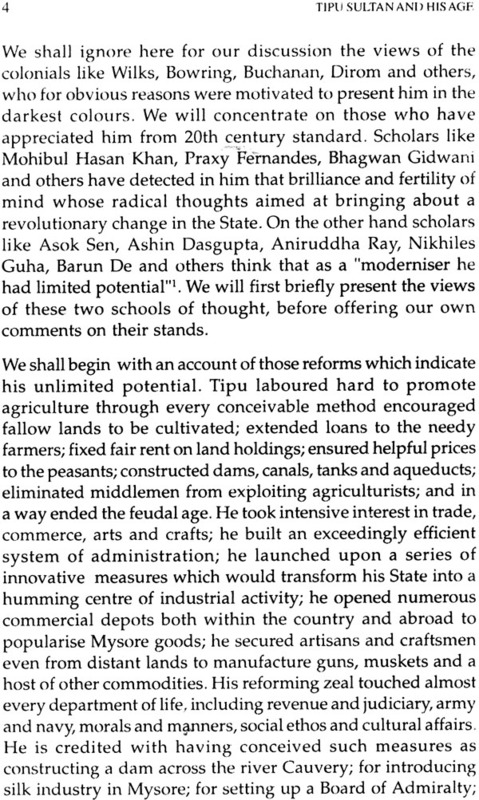 He aimed at bringing about a social and economic change in the condition of his people. 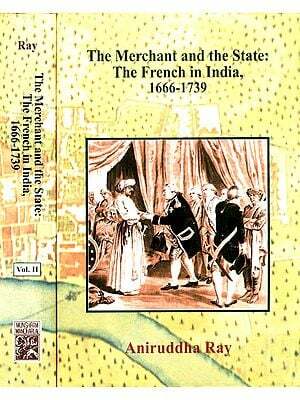 For this he took great interest in trade, commerce, agriculture and industries. His opening of factories in near and far off places, his despatch of embassies to different lands to link Mysore with the other world, his experiment of a new type of cooperative bank, his novel system of judicial system, his conception of nation state, his elimination of feudalistic intermediaries, his creation of civil service, and his building up a standard system of laws, were all modern ideas, which made his state a humming centre of great activity. 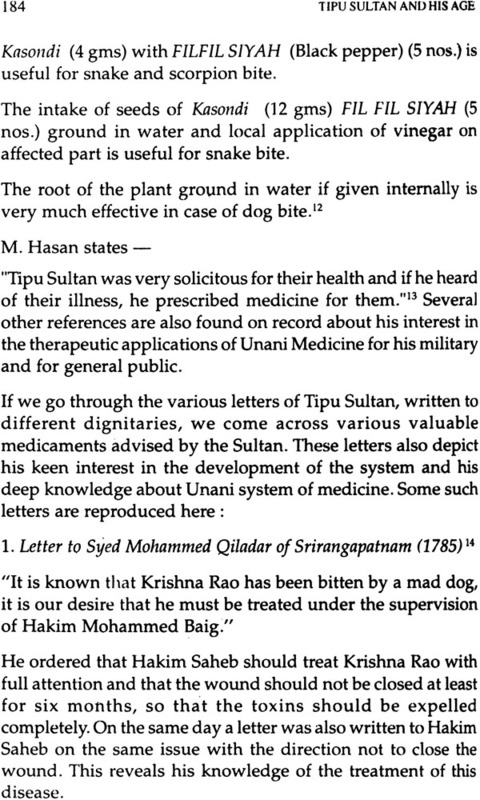 Tipu is relevant for a few more reasons. It was he who thought that history is all unfolding the drama of human freedom, political freedom, social freedom, economic freedom, and freedom from want, from hunger, from ignorance and from superstition. He was fond of saying that life of a lion for a day was far better than the life of a jackal for hundred years. He would say do not cut a tree to get at the fruits. Whereas other rulers were short-sighted to compromise with the English, he never deviated from his path. He would regard wisdom of the self as the wisdom of the rats which were sure to leave the house before its fall. He would think one should have in life a cause to serve, a code to follow, and a creed to believe. He was all his life committed to a cause and was steady in his conduct. He fought all his life against cowardice, injustice and exploitation. Very rightly he thought that flag followed the trade. Once the wealth of the country was sucked up by the aliens, they were sure to be tempted to play a political role as well. 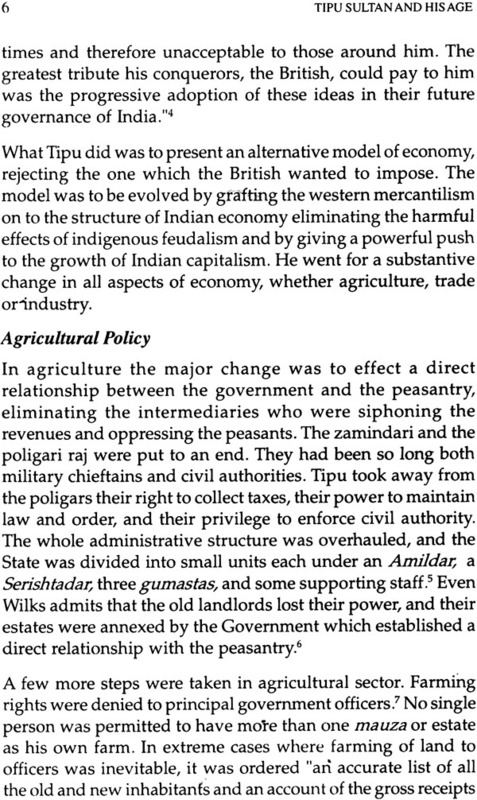 It was Tipu's aim to fight the English both on the economic and the political fronts. The Asiatic Society of Calcutta deserves all credit for its initiative in organising a National Seminar to mark the 200th year of his martyrdom. 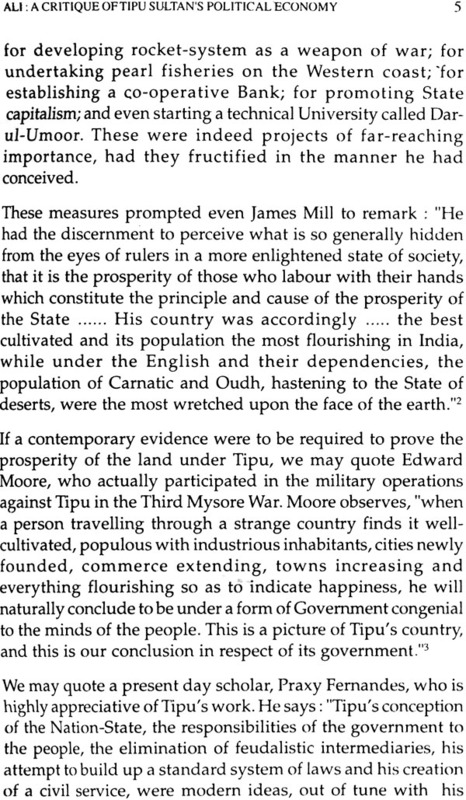 This seminar threw intensive light on several aspects of Tipu's regime, which the Asiatic Society is now presenting to the public in the form of a book. Calcutta is indeed the intellectual centre of India, where Asiatic Society exists not only as a repository of the finest in our culture, but also a motivator for creative and reflective thought. For this we thank the Asiatic Society in general and its General Secretary in particular.